With a full-service professional wood-shop located in Brevard, NC we can create anything you can possibly dream up. With our resources for reclaimed antique wood and direct access to locally felled trees, Wheelhouse can design and build unrepeatable custom pieces for your home that will last a lifetime and add warmth to your surroundings. Wheelhouse loves to handcraft custom wood products. Our skilled team of craftsmen and artists can help you navigate through choices of wood species to create the product you're looking for and add warmth to your home or business. 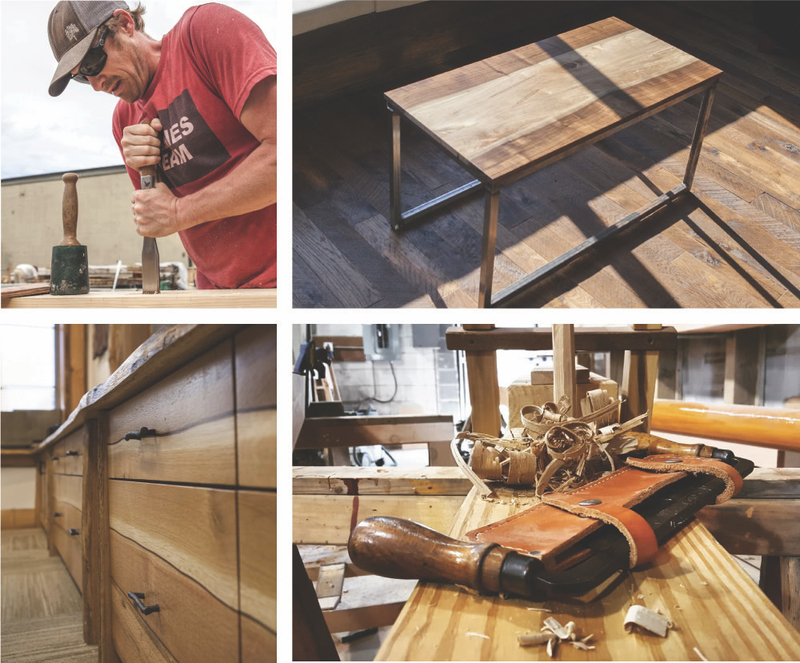 See our Sierra Nevada Project to see how custom woodworking can bring a space together. Drop us a line for a free initial consultation!